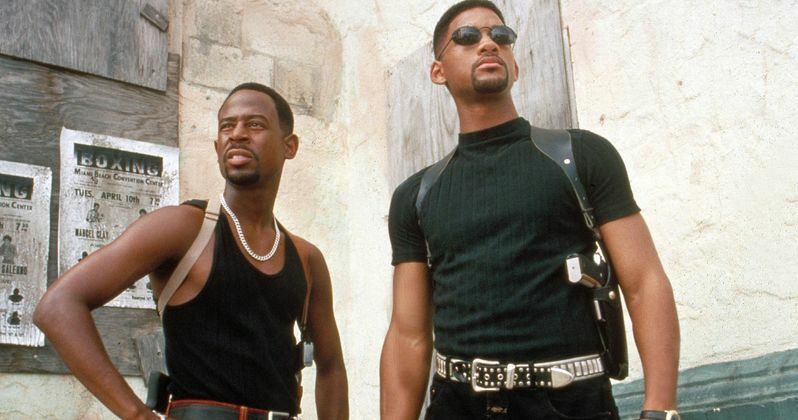 Will Bad Boys 3 Really Begin Shooting in Early 2019? The latest script for Bad Boys for Life has been met with the approval of producers and is close to happening, for real this time. Maybe. The delay of Suicide Squad 2 recently put a hole in Will Smith's schedule, allowing for work on Bad Boys 3 and Bright 2. Sony has put the third Bad Boys film at the top of their priorities, and it was originally thought that production would start next month, but it has taken longer than originally planned to get the script tweaked to everybody's liking. Bad Boys 3 is expected to be in theaters by January 2020. Will Smith is officially on board to reprise his role as Detective Mike Lowrey. Martin Lawrence has yet to officially sign on, but the comedian has expressed interest in the sequel for many years now. As far as the wait for a script, Columbia Pictures president Sanford Panitch recently stated, "If we're going to make another 'Bad Boys' after 15 years, it's got to be next-level great." It appears that they have finally found that "next-level great" script. Chris Bremner wrote the first draft of the Bad Boys 3 script, which has caught the excitement of producers. Adil El Arbi and Bilall Fallah are directing the film, and will more than likely be tweaking the script as they move ahead. With that being said, it's been noted that Bremmer's script delivers a perfect blend of action scenes and comedy that the franchise is known for. Sony is aiming to do something different with the third installment, to have it stand out from the rest of the pack and compete in the land of reboots and remakes. It's believed that filming for Bad Boys 3 will take place in Miami and Atlanta, which will then see Will Smith head to Germany to begin work on Netflix's Bright 2. The first Bright installment was not meant with rave reviews at all, so it was pretty surprising that the streaming platform announced that they were making a sequel back in January of this year. David Ayer is returning to direct and is writing the screenplay this time around, taking over for Max Landis, who wrote the first movie. Bad Boys 3 has almost reached a mythical status, so there is going to be plenty of pressure to deliver the goods. It's going to be impossible to please everybody, but having Will Smith and Martin Lawrence both on board is a great start. Let's just hope the script is just as good as the producers say it is, because it's been a long time coming. After Bright 2, it's Smith could jump over to Suicide Squad 2, but it's unclear when that sequel will go into production. For now, it's just nice to know that Bad Boys 3 is finally seeing some forward motion. The Bad Boys 3 news was first reported by Variety.